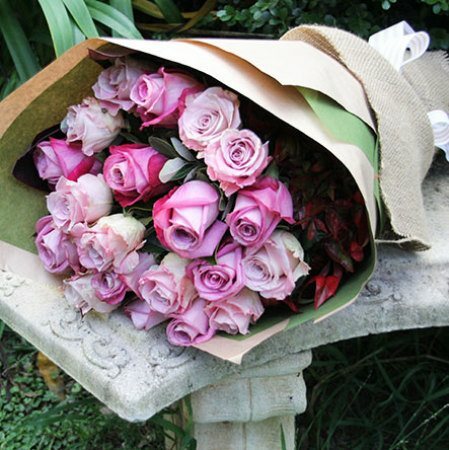 A rose bouquet fit for a princess! 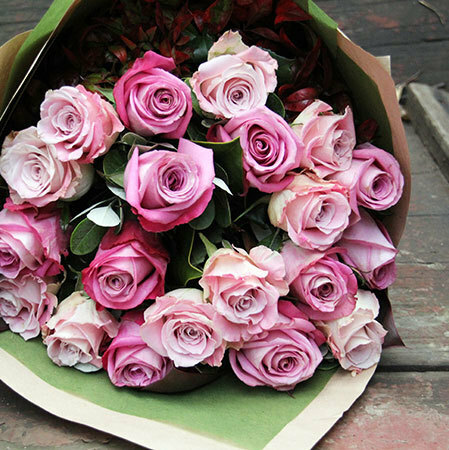 Send a bouquet of fresh `Faith` roses in shades of antique and dusky pink, mixed with seasonal foliage to add depth and texture. Beautifully gift wrapped by our florist team, this flower arrangement is ideal for any occasion - from the birth of a newborn baby girl to a birthday celebration, for a special occasion, or as a simple `just because`. 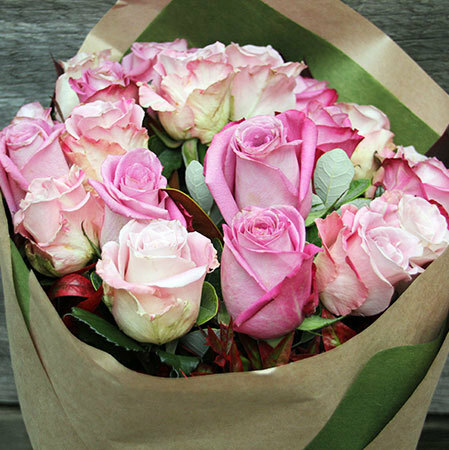 Add some delectable chocolate or a scented ECOYA candle to your rose bouquet and you will really be on fire... To order, either select these flowers online or call and chat with our helpful consultants toll free on 1800 66 66 46. 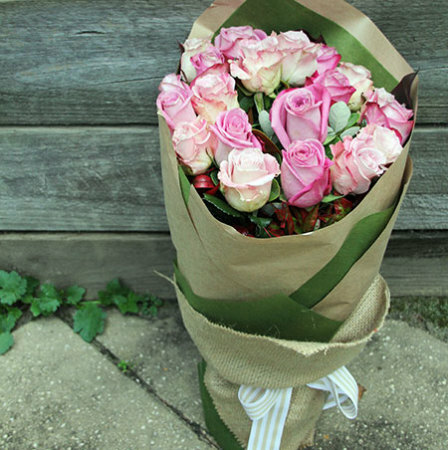 *Please note: These specific `Faith` roses and pictured presentation is exclusive to our Sydney deliveries only. To arrange flower delivery outside Sydney, our team will coordinate your order with an affiliate florist network who will recreate this style, colour and presentation as closely as possible. 2016-05-09 Service rating : Email was received upon completing order and upon delivery of flowers. Delivery was prompt and flowers were fresh. Product : My friend loved her roses and they looked just as good as they did on the website. 2015-03-17 Service rating : I had a problem with the delivery of my order. However the response to the issue was fantastic and I would highly recommend them.